Enjoy this 3D survival! A bunch of zombies has ran away from the facilities where the creatures were being kept... And you're the one that must fix this. Grab a weapon, watch your ammo and avoid the infection! Enjoy this wonderful FPS! 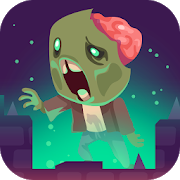 A wave of deadly zombies is taking over the city, and you're the last man standing. Crush them and get rid of the plague once and for all! Are you up for the challenge? Grab your weapon, collect health packs and don't stop moving. Explore around you and survive! Enjoy this new version where you'll start by controlling an elite soldier who fights zombies. If you get infected, your mission will be to infect other survivors! Enjoy this revolutionary 3D shooter! The graphics are really similar to Minecraft's, so enjoy the endless weapons and maps. Obliterate your enemies! Enjoy this 3D multiplayer shooter and its several modes, maps and dozens of weapons. Use assault rifles and missile launchers to obliterate the dangerous brain eaters that are coming for you. Try to survive! The 6th installment in the 'Pixel Gun Apocalypse' saga is here! Face all sorts of bloodthirsty zombies -- grab your machete and one of the other five weapons and join thousands of other players in this slaughter! Enjoy this 3D FPS where you must face waves of bloodthirsty zombies! Try to survive by purchasing new weapons and ammo. Make sure to load them at all times and don't get caught without bullets! You woke up in the middle of a war, completely disoriented on a bed. Dress up and escape from the building before it explodes, look for weapons on your way and complete the missions in each stage! Enjoy a thrilling action-packed game and avoid enemy bullets! You'll be trapped inside a post-apocalyptic sim cube and surrounded by dangerous zombies. Collect survival kits, stay alert, tend to your wounds, aim at their heads and stay safe!